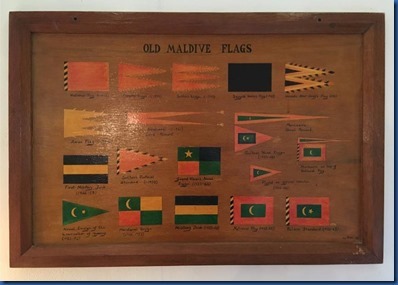 With all of the glitzy bling scattered around the Maldives like toddlers throwing tinsel on a Christmas tree, some of the old school décor with retro charm stand out even more distinctively. 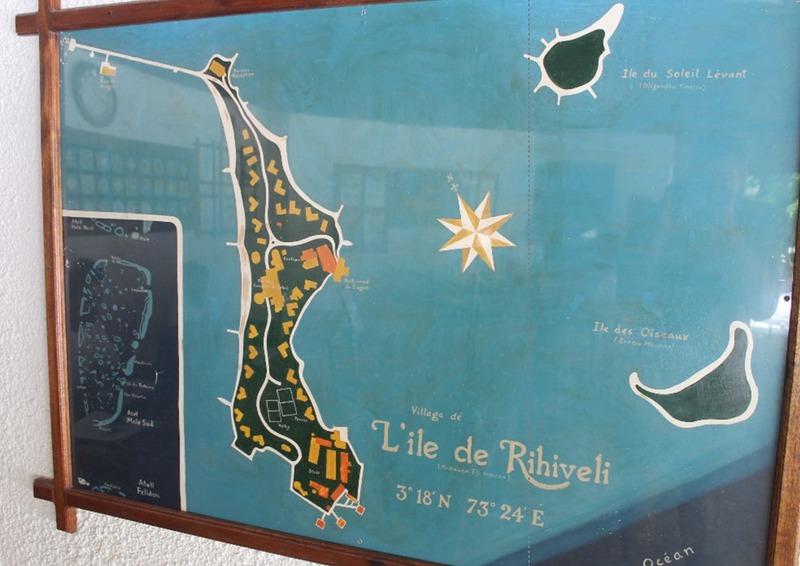 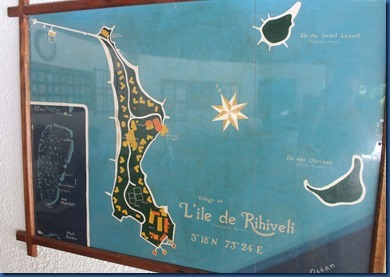 One example is Rihiveli extensive oil on wood paintings. 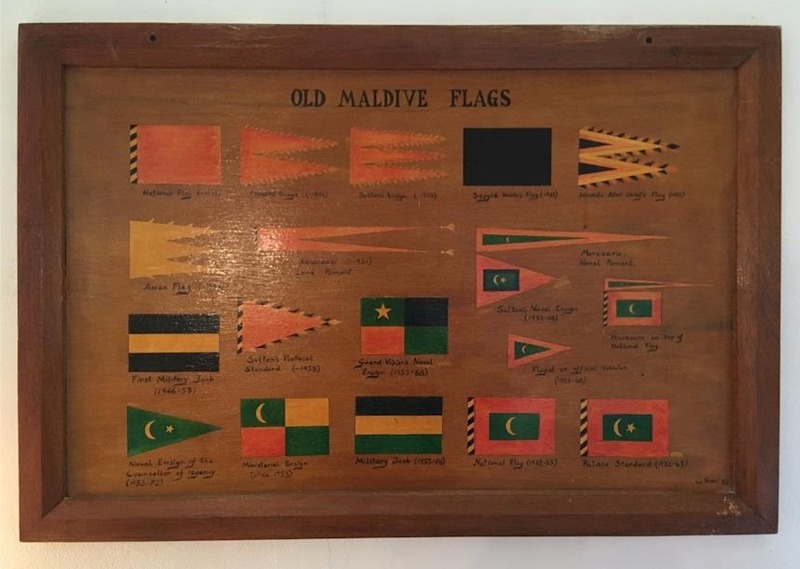 The reception features one of the most handsome island maps I have seen, and I love the little vexillological (word of the day for you) retrospective.